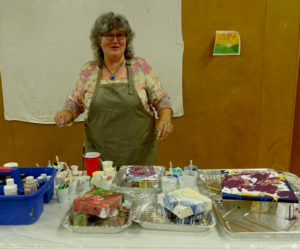 Join the Leominster Art Association! Our first meeting of the new season on Tuesday, Sept. 19th was very well attended with 69 people signing in. 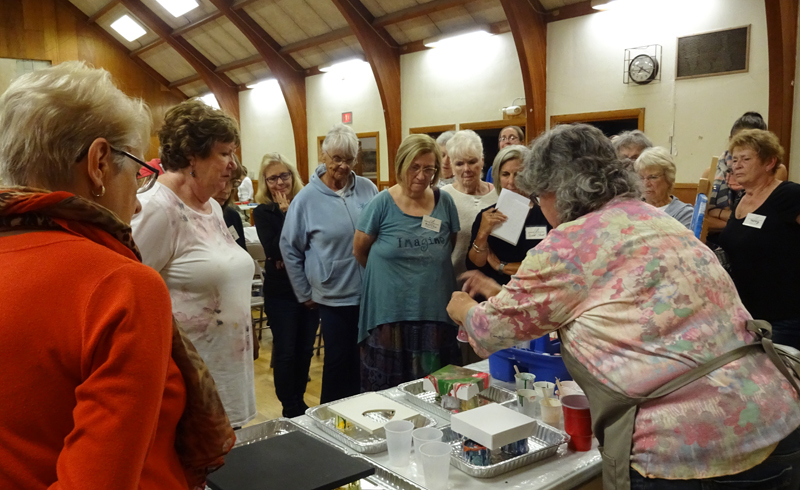 Everyone seemed happy to be meeting at the Congregational Church once again and the evening seemed somewhat like a reunion. 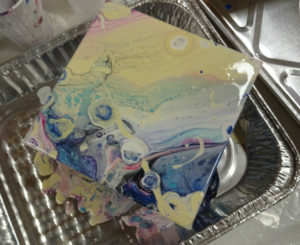 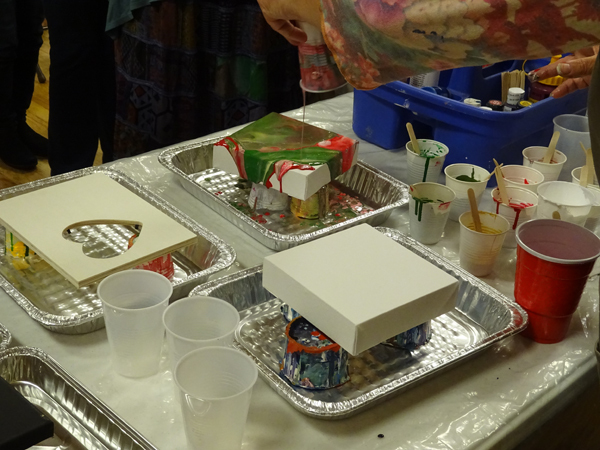 Our guest artist, Alicia Drakiotes gave us an entertaining demonstration of her new method of Poured Acrylic Art. Attendees gathered around her table and interacted with Alicia and each other as questions were asked and information shared as she explained how she mixed the ingredients and showed how to pour colors onto different surfaces to form colorful abstract art.